Evan Bautista is a client intake specialist at Nyman Turkish PC. Before coming to Nyman Turkish, he worked as a Marketing Intern for Amador Vinter’s Association promoting the region’s red wines. Evan enjoys working at Nyman Turkish because of the opportunity to help those who otherwise would be lost in a complicated Social Security system. 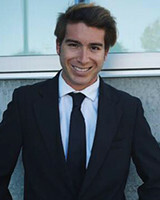 Evan obtained his Bachelor’s of Science in Business with a focus in Marketing from California State University Monterey Bay. Outside of work, he enjoys running, hiking, skiing, boating, surfing, camping, and spending time outdoors.